At Mercury NoDa, we designed our pet-friendly homes to complement your lifestyle. We want you to be comfortable and have fun making your space your own. Our studio, one, two, and three bedroom apartments for rent in Charlotte, North Carolina, feature airy interiors with spacious walk-in closets, so you can spread out the way you want to. 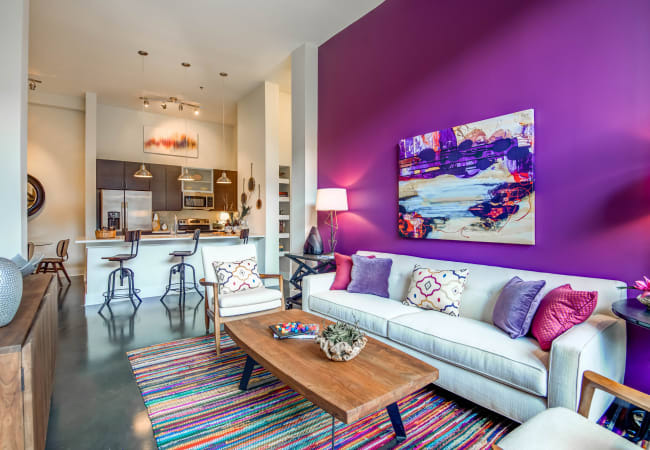 Choose from 22 different floor plans at Mercury NoDa ranging from 546 to 1,446 square feet. And no matter which floor plan you choose, you’ll love how bright and open your new home is thanks to vaulted ceilings, french patio doors, and ample windows. Living at Mercury NoDa is delightfully different. Embrace your inner aspiring chef and prepare the latest Pinterest recipe in your open-concept kitchen. Smooth quartz countertops allow for easy meal prep and cleanup, and stainless-steel appliances like a side-by-side refrigerator and a built-in microwave combine for additional cooking convenience. Tiled backsplashes, brushed-nickel hardware, and custom dark gray-toned espresso cabinetry provide a refined touch and tie your new kitchen together. In addition to an abundance of natural light, designer lighting throughout your new spot illuminates the modern plank flooring, and select apartment homes come with stained concrete floors. See your favorite floor plan in person today. 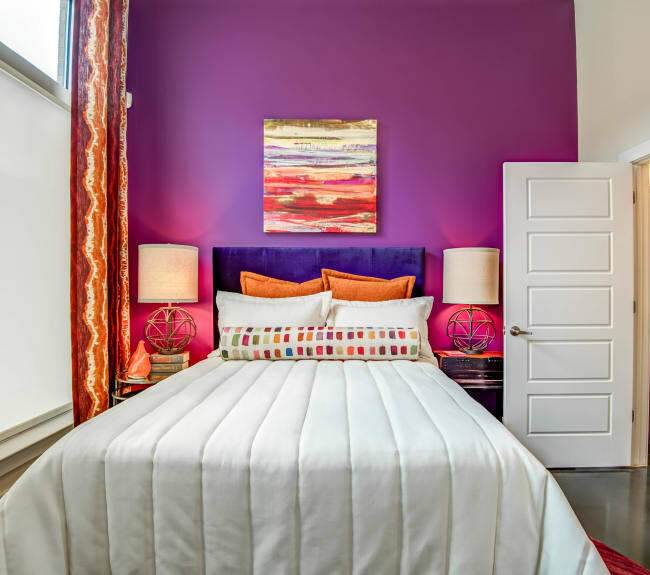 Contact us for your personalized tour of Mercury NoDa.